Ah, these crazy Swedes. When they aren’t making cars based on jet fighters, building hot sweaty rooms from pine, or drinking themselves into oblivion in a more chirpy way than Finns, they write music. Lots of it, too. 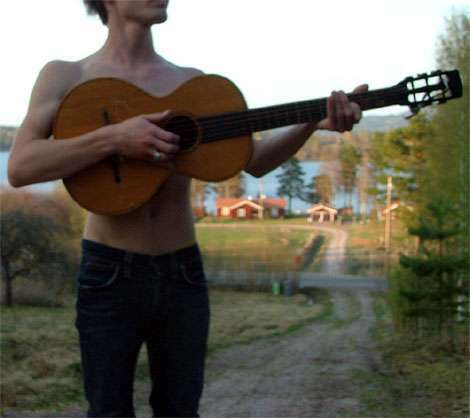 Latest Swede to hit these shores armed with a guitar and a way with a jaunty tune is The Tallest Man On Earth. Bad news first. He sounds a lot like Dylan. Good news is, he carries it really rather well. Opener to his new album “The Wild Hunt”, cunningly entitled, “The Wild Hunt”, is as good a place to start as any. Some lovely guitar, a catchy tune, some idiosyncratic singing, what more can you ask for? The album’s a good ‘un too, and has been getting great reviews all over the place. Give it a try, I say.